glad dpc allows us to edit these fields using mobile device. More then just a kid photo, it is Impressiomnistic style artwork. Great color combinations, technique, and composition, too. A lovely concept really well executed. Congrats on a fine finish. Lovely! This is most definitely my favorite shot in this challenge. The colors are bright and joyful and the focus is perfect. Brilliant subject as well. Well done! What a lovely mess, I�ll bet it was a fun shoot. This has got to ribbon, great colours and perfect dof. 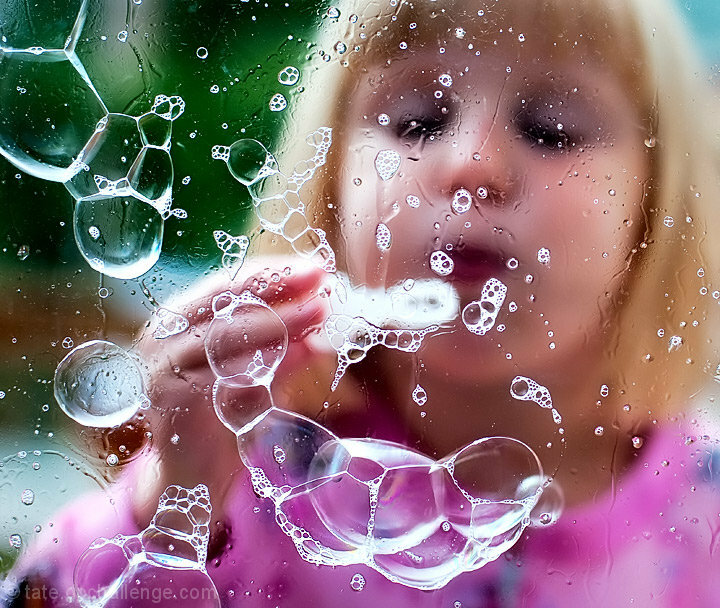 Incredible shot... it effectively captures the playfulness and curiousity a child has. Hope to see this on the front page. you cant help but to smile when you look at this image. I like all the activity this image invites into your brain., With the child slightly out of focus you can imagine you own child, grandchild, niece, etc. Keep up the amazingly fun images. As family snapshots go, this is exquisite - and therefore, arguably, it is just exquisite period. It's fun, funky, clever, and really well composed. It ain't gonna solve, or even hint at, any of the eternal mysteries, but ... who has the time, yeah? Fun!! And wonderful use of vibrant color. Proudly hosted by Sargasso Networks. Current Server Time: 04/18/2019 08:19:37 PM EDT.